Hey guys! This post is not very much related to art but it is about something that both bothers me and has a solution. Plastic waste. 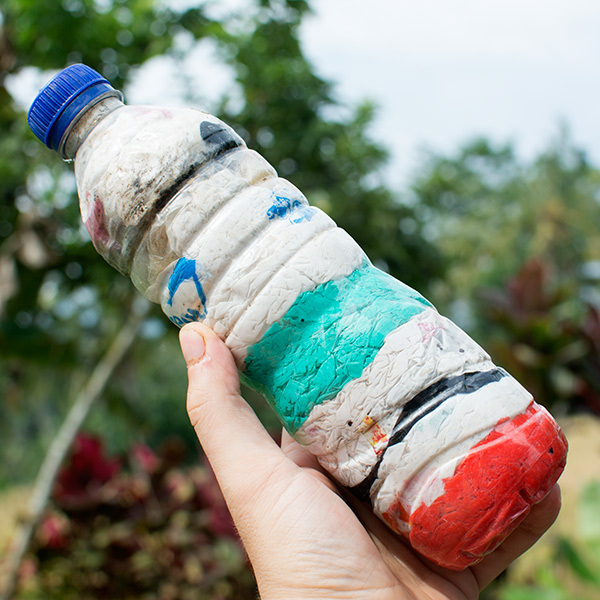 We now live on Bali and there is so much plastic around… In our neighbourhood locals do not collect plastic garbage for recycling. Instead they burn it right in front of their houses. Check out the post to find out what I’m doing in these circumstances. Hey people! 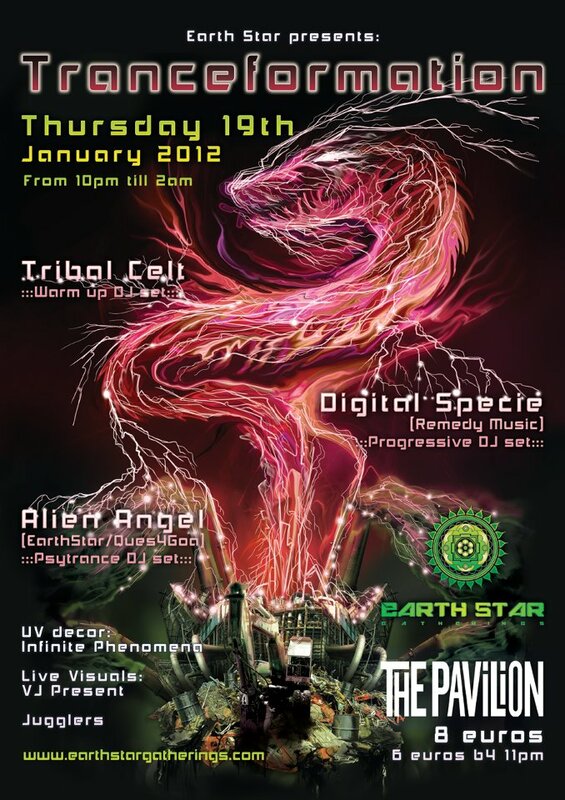 As you might have already noticed I have a strong connection with Earth Star gatherings – a group of talented people who create psychedelic trance events in Cork, Ireland. Their next party is called “Tranceformation”. So I’ve decided to transform some human garbage into a electric dragon. Within the post you’ll find the flyer itself, background, sketch and some stock photo’s I’ve used.